Indigenous to the Mediterranean and Southern Europe, Spearmint is the more commonly used of the mints. 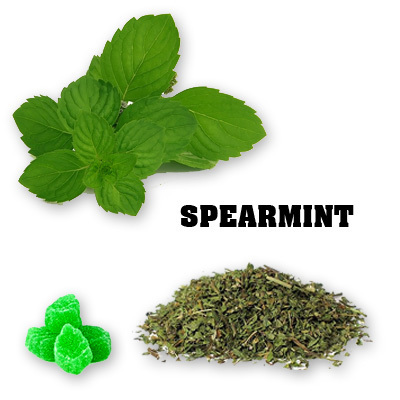 The flavor profile of spearmint is refreshing and mellow with a delightfully pungent taste and undertones of lemon. Spearmint works well with fruit, meats, other herbs and is a key ingredient in many yogurt sauces. Spearmint also adds a delightful zest to casseroles, vegetable stews, lentils, salad, cooked vegetables and noodle and bean soups.